The maniacal matching card game! 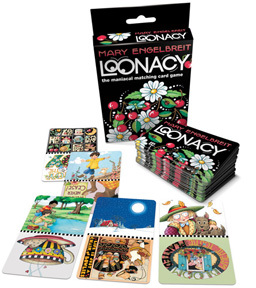 Loonacy is a rapid fire game where players race to be the first to empty their hand by matching one of two images with the images on the open piles in front of them. It’s easy enough to teach in a single sentence, and so addictive you can’t play just one game. 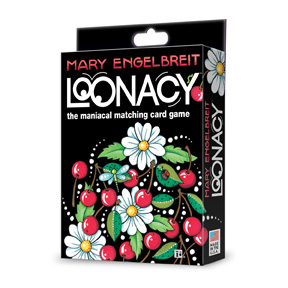 Did you know you can play traditional card games with Mary Engelbreit Loonacy as well? Don't forget about Fairy Tale Fluxx, which is now available in our webstore!